He can’t recall now what provoked this outburst; but he won’t forget the comment. Pop-star had thought highly of this top rating financial analyst and journalist until then, but he did not like this derogatory comment on Sunday morning television. He had not long become a blogger himself. He certainly wouldn’t be subscribing to his newsletter now. Didn’t he realise that bloggers at least read their articles, and pass their views on to others. Pop-Star is his sobriquet. When grandchildren started arriving the family consensus was that they should call him Pop or Poppy. He did not mind this. Poppy was a snappy name, friendly too. Poppy it was, until the two oldest boys, to their amusement, christened him Pop-star. He suspects they didn’t think much of his star qualities. Never mind, he accepted the title good-naturedly. How did Pop-star get into blogging? He wasn’t entirely a computer novice. He had learned how to buy and sell his shares online, saving ever so much money on brokerage. He also did his own research on the internet. He was wary of the social media, however, as was Mrs Pop-star (MPS). She was horrified when after surgery, and obeying orders to stay indoors, he opened a Twitter account to follow the news as it unfolded. He started to add his own short comments, and make small contributions to public debates. The next step was to use Facebook to find out a little more about people in the news. It also proved wonderful for staying in touch with distant relatives. Twitter limits comment to 140 characters. Not nearly enough to elaborate on issues. When he came across WordPress he thought “why not give blogging a go”? He looked at other blogs. Many were just spectacular. Could he at his age manage something like that? It wasn’t too expensive. He had long wanted to share with others his insights into life, and finance. It hasn’t been easy. Even the basics were unfamiliar. He had to work out the differences between pages and posts, what META meant, and learn the jargon. Words like widget, Avatar and Gravatar. He had no end of difficulty trying to add media to his posts. It frustrated him when something he was working on just disappeared. He wasn’t sure whether he had committed some unpardonable sin, whether it was his computer freezing, or a problem with the server. Wouldn’t it be helpful if there was automatic feedback to clarify the problem, and suggest a solution! He had little earlier writing experience. He was aware of some of the pitfalls to avoid, but how do you avoid those clichés by coming up with some original expressions of your own? He had a struggle to avoid using the words and expressions of others and to always be original adding comment to a news report. He had to research before he wrote, and make sure that his sources were reasonably reliable. He still has to learn how to format his references, and append a bibliography. He had a dilemma deciding on topics. Should he persist with topics that interested him even if they were of limited interest to others, Did it worry him when there were few readers, and fewer comments, let alone positive feed-back. Then there were questions of style. If it was a technical topic, how could he avoid jargon readers wouldn’t understand, and add enough explanation in the text? He does not like pomposity and verbosity but found he was tending to do a bit of pontificating himself. No matter how often he re-read his posts it seems he always found errors of one kind or another, or text that could be better expressed. It was a challenge to his ego to get it as right as he could and he is still striving to improve. Perhaps this is the reason he has become obsessive about his blogging. It perturbs MPS how much time he is spending on his computer, and in the interest of marital harmony he must do something about it. With so much to write about it won’t be easy. Once he embarks on a post, he can’t rest until complete and posted. Even if no one reads his blog, he thinks he will keep going while his health permits. All his life he has read the words of others. This is his opportunity to express his own ideas and thoughts. It is an absorbing interest. It gives him something to think and talk about instead of repeating stories everyone has heard before. He has a new role in life, and a feeling of relevance. He is contributing to public thought and debate. It is a bit like having a baby; hours of labour but new life (of a sort ) at the end. Mind you he is not necessarily proud of what he has written. He is a bit embarrassed to confess that he is just another “idiot blogger”. He likes what another WordPress blogger said about writing when life was coming to an end. He/she said they would just write faster. Jingle Bells Jingle Bells Jingles All The Way! 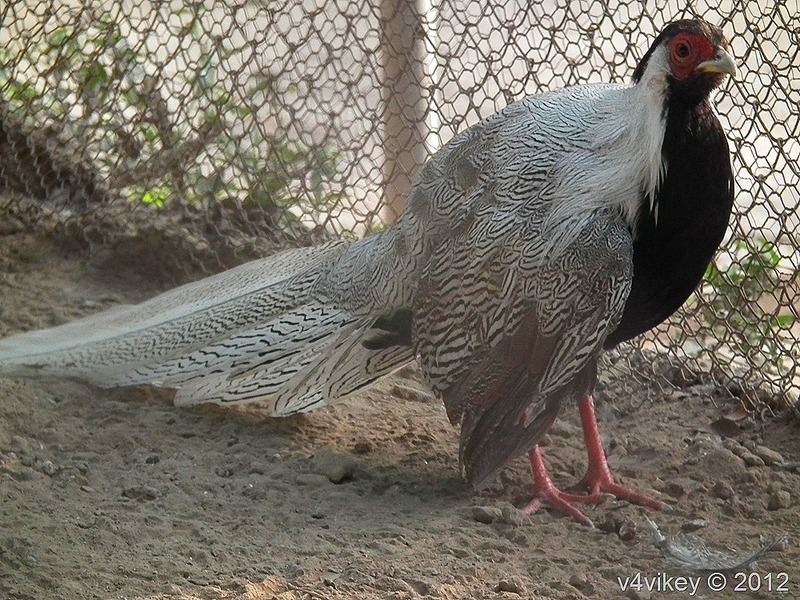 The Silver Pheasant (Lophura nycthemera) is a species of pheasant found in forests, mainly in mountains, of mainland Southeast Asia, and eastern and southern China, with introduced populations in Hawaii and various locations in the US mainland. The male is black and white, while the female is mainly brown. 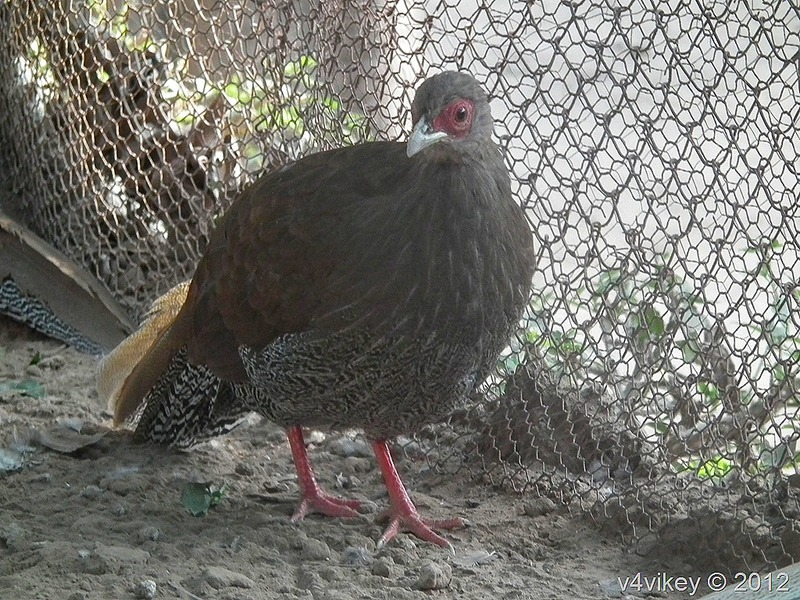 Both sexes have a bare red face and red legs (the latter separating it from the greyish-legged Kalij Pheasant). It is common in aviculture, and overall also remains common in the wild, but some of its subspecies (notably whiteheadi from Hainan, engelbachi from southern Laos, and annamensis from southern Vietnam) are rare and threatened.